I understand the thinking, because over the three decades I’ve been working with this topic, I’ve said much the same. In fact, I dedicated a couple of paragraphs in my book to the adaptive elements of impostor syndrome. However, in the last few years I’ve come to see this notion that we should embrace our impostor feelings as being based on a false narrative. A narrative that says you have two choices. 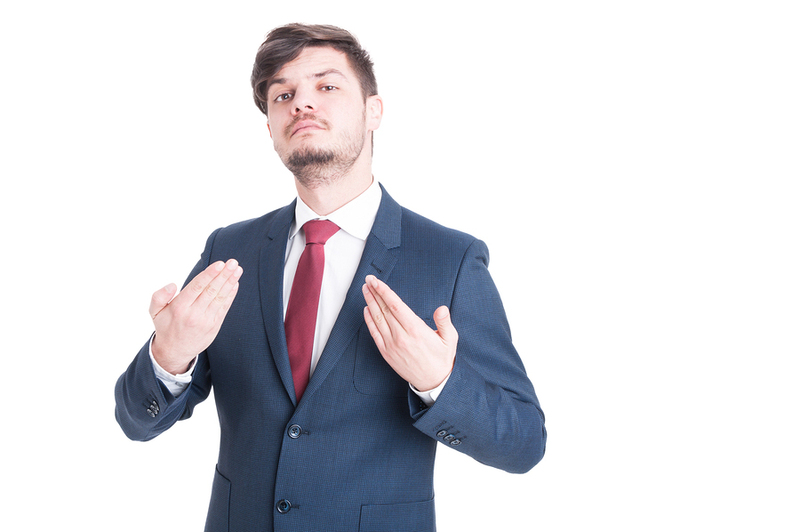 You can continue to feel like an impostor with all the negative emotional, physical, and financial consequences that go along with it — OR you can be an egocentric jerk. To be sure, there are plenty of people who are the proverbial “smartest guy in the room.” All the more so in high places. But if you’ve spent your adult life seeing yourself as undeserving of your success, even if your impostor syndrome magically disappeared tomorrow, the odds of you becoming that person are pretty much zip. So, what if you knew that you didn’t have to deal with all the downsides of impostor syndrome in order to be humble? Put another way, what if you knew it was possible to ditch impostor syndrome and still have healthy humility, even well-deserved pride in your work? What if you knew that it’s entirely possible to walk into a new situation (new job, promotion, and yes even SNL) and feel like “I’ve ‘got this’” — not out of arrogance — but because you understand, as non-impostors do, that it’s okay to be in the midst of a learning curve? In fact, what if you knew that you can be scared out of your ever-lovin’ mind, and still not feel like an impostor because you understand, as non-impostors do, that fear is a normal response to the unknown? What if you knew, as non-impostors do, that it’s entirely possible to ask for help… or not know the answer… or struggle to master something… or make a mistake… or fall flat on your face… and not experience shame that “impostors” do? In other words, what if rather than embrace your impostor syndrome, you learned instead to think and act like someone who embraces a healthy response to competence, failure, criticism, and fear? The downsides of feeling like a fraud far outweigh the good. And the consequences are costly — not only to you, but to your organization or business as well. Rather than embrace a pattern that comes with such emotional, physical, and financial baggage, I invite you to embrace non-impostor thinking instead. Valerie Young, Ed.D. 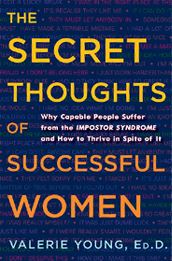 is an internationally-recognized expert on impostor syndrome and author of the award-winning book The Secret Thoughts of Successful Women: Why Capable People Suffer from Impostor Syndrome and How to Thrive in Spite of It (Crown Publishing) now available in five languages. Valerie has delivered her highly solution-oriented and surprisingly upbeat message in the US, Canada, Japan, and Europe to such diverse organizations as IBM, Merck, Boeing, Procter & Gamble, Microsoft, Intel, Chrysler, Facebook, BP, Ernst & Young, McDonald's, The Space Science Telescope Institute, Society of Women Engineers, Women in Commercial Real Estate, Cornell University's Men of Color in STEM Symposium, Stanford, Harvard, MIT, Princeton, and over 85 other colleges and universities. Her career-related advice has been featured in business and popular media outlets on five continents including The BBC, Yahoo Finance, Newsweek, Time, O magazine, Fast Company, Science, Inc. and many more. Valerie was one of 11 people chosen to deliver a six-minute talk at TED HQ as part of TED/NYC Idea Search 2017. Valerie was the founding coordinator of the Social Justice Education program at the University of Massachusetts where she earned her doctorate.